After much speculation from our Twitter post Rez Infinite arrives on PC today with VR support for HTC VIVE and Oculus Rift! Totally playable on your desktop or fully immersive VR. We’re launching with an introductory price of $19.99 for a limited time, which comes with a freeDigital Deluxe DLC.The DLC is available both on the Steam and Oculus stores! 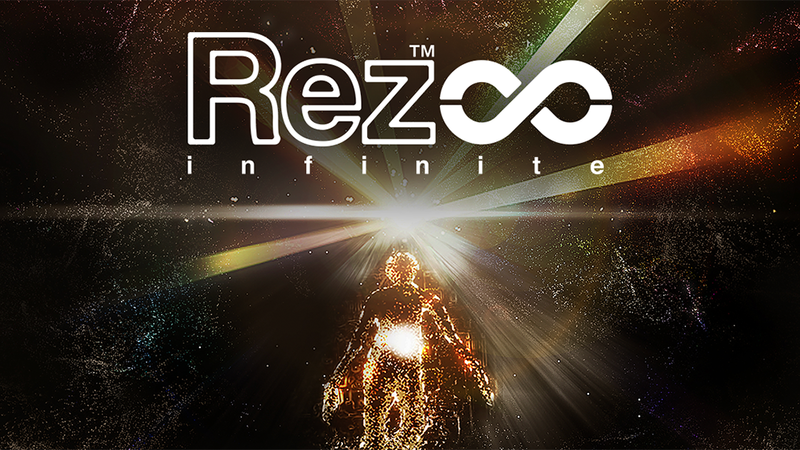 This is the first time Rez/Rez Infinite makes it way to PC and really excited to share it with all the PC and VR gamers out there. The Ultimate Package:Fully remastered classic Rez levels Areas 1 through 5, and an all-new free-flying experience in Area X. Highest Res Rez:Unrestricted resolution and up to double the texture resolution of any previous version of Rez makes for razor-sharp visuals. Enhanced Soundscapes:Full 3D audio for Rez’s incredible music and sound effects. VR Optional:The entire game is playable on PS4 or your PC desktop, or in full VR with your PS VR, HTC VIVE or Oculus Rift headset and accompanying controllers (standard gamepads, PS Move, Vive Controllers, and Oculus Remote and Touch controllers are all supported). View Mode:Take in the environment, or capture great moments by pressing “V” on keyboard. On desktop mode, use the left joystick, or hold left click and drag the mouse to look around. In VR, move your head to look around. Exit view mode by pressing V.
Rez Infinite on PS4/PS VR won Best VR Game at The Game Awards last year, and is currently the highest rated PS VR title on Metacritic. Can’t wait to have everyone try it on PC, Vive, and/or Rift!